Get it from Redbubble for $20.81+ (available as cover only or with insert and five sizes). 2. A natural Himalayan pink salt candle holder to provide a gentle light source while you unwind from a long day. 3. A plush throw blanket so you can be ready for a nap attack whenever it strikes. Feel chill, not chilly. Get it from Amazon for $18.99+. 4. A white tee that'll settle the question of who can chill the hardest. You, obviously. Get it from LiterallyObsessed on Etsy for $22.50+ (available in sizes S-XL and nine styles). 5. A notepad for telling other people to chill the f*ck out, for the sake of their sanity and yours. 6. A pretty pink iPhone case to remind you to take a chill pill when things get a little heated. Get it from Valfre for $38 (available in iPhone 6-X). 7. 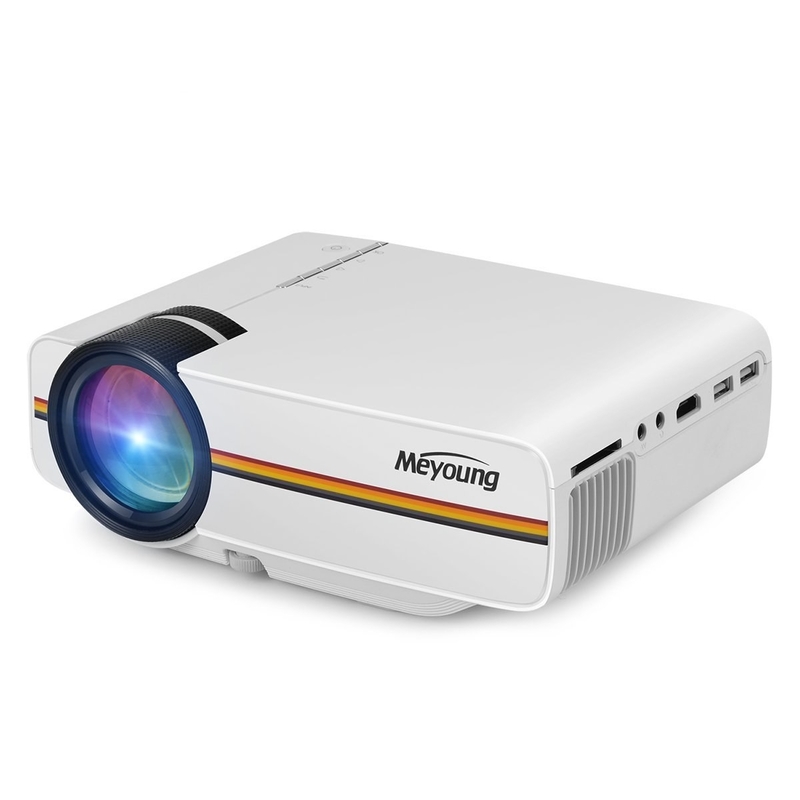 A mini projector that'll make you abandon movie theaters forever. 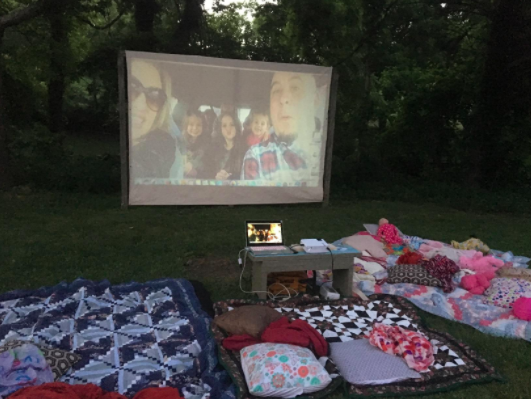 Going out < chill night at home surrounded by pillows, blankets, and snacks. 8. A makeup-setting spray for getting a flawless finish. It'll cool and hydrate your face, so just spritz some on whenever you feel like you're about to lose your chill. This spray is oil free and paraben free! 9. A pin to put you in a zen state of mind. Life is too short to hold onto stuff that weighs you down. 10. An all-natural body wash in a ginger and lavender scent that'll make showering an even more relaxing experience. This shower gel is made of only eight simple ingredients and is completely free of parabens, sodium lauryl sulfate, petroleum, silicones, and harsh, mysterious chemicals. Get it from Dermstore for $18. 11. A super soft T-shirt with a word of advice from the coolest pup of all time: Snoopy. Get it from Macy's for $9.99 (available in sizes S-XXL). 12. A tropical print sure to put you in a chill mood, because you'll be thinking about sunny California. Get it from Nicole Moore on Society6 for $19.99+. 13. A massive bean bag chair you'll sink into before vowing never to get up again. Get it from Amazon for $125.97 (available in three sizes and six colors). 14. A soothing blend of essential oils that's basically a miracle in a bottle. Anyone who takes a whiff will instantly calm the f*ck down. The scent is a blend of calming lavender, refreshing citrus, and balancing patchouli. Get it from Target for $7.69. 15. 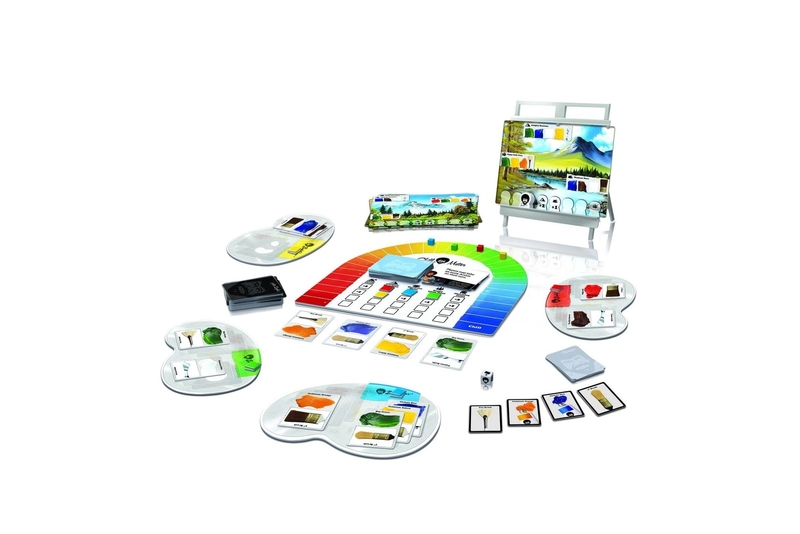 A board game inspired by ultimate chill dude Bob Ross. 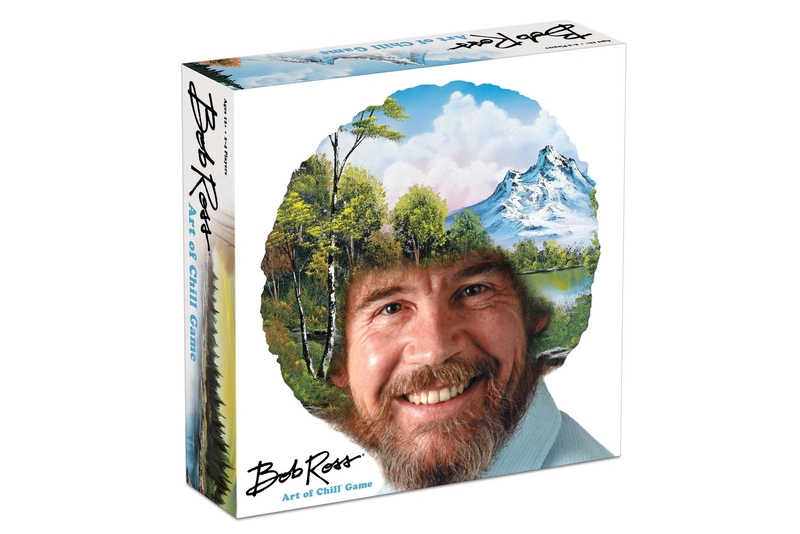 Earn "chill points" by painting Happy Little Trees and Almighty Mountains. 16. A travel mug covered in capybaras, which are universally known as the chillest animal to have ever existed. Get it from Nemki on Etsy for $34.14 (available in four colors). 17. A DVD box set of the entire Seinfeld series, because what's chiller than watching a show about nothing? It's always a good idea to have the DVD set on hand— in case the Wifi cuts out. 18. A snarky coloring book to help you chill out when adulting gets to be a little too much. 19. 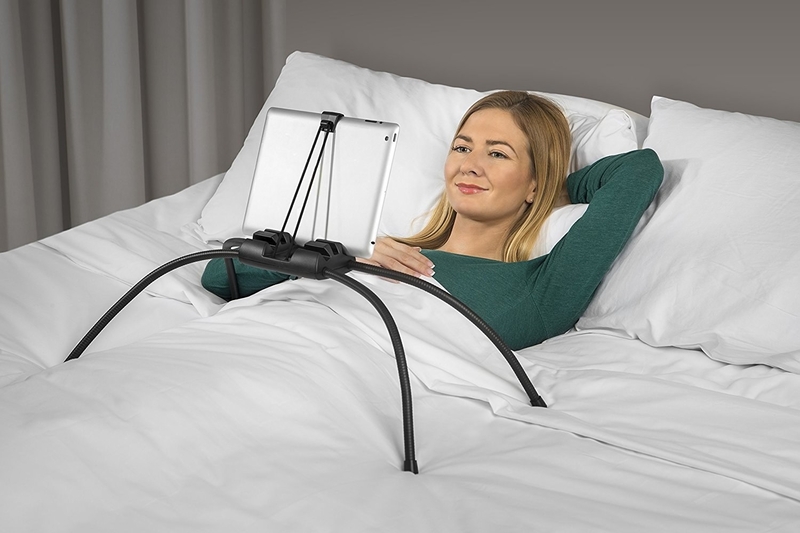 A tablet stand that'll have no problem balancing on the bed. 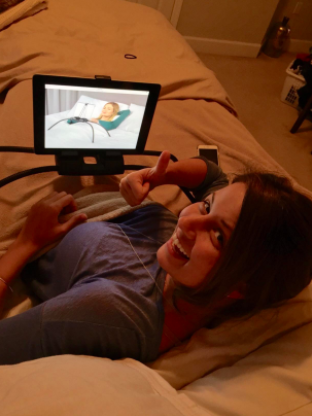 You can even tilt the screen forward to watch while lying down. 20. A mini sandbox to take your inner child on an imaginary getaway to the beach. Keep it on your office desk — you'll need it on Mondays. Get it from Amazon for $17.76. 21. A sloth onesie so you can finally be in your true form. Feeling warm and cozy is just a bonus. Get it from Amazon for $28+ (available in sizes XS–XXL). 22. A cat keychain that'll inspire you to do a little ~meow-ditation~ once in a while. Get it from BoxLunch for $7.90 (the cat is randomly selected). 23. A mug for old-school people who would rather rewind life to the days before Netflix was cool. Get it from Anthony Troester on Society6 for $15.99+ (available in two sizes). 24. A brass wall hook to provide your jewelry, keys, and other small accessories a place to chill on. 25. A throw pillow cover listing a few crucial components of a chill day. The other side should say, "Naps, take-out, and PJs." Get it from Amazon for $8.99 (available in seven designs). Get it from Solbeamstudio on Etsy for $12. 27. A pair of lavender-infused fuzzy socks (with serious Totoro vibes) to pad around in while you're chillin' at home... which is 99% of the time. Get a two-pack from Amazon for $14.99 (available in nine colors/designs).